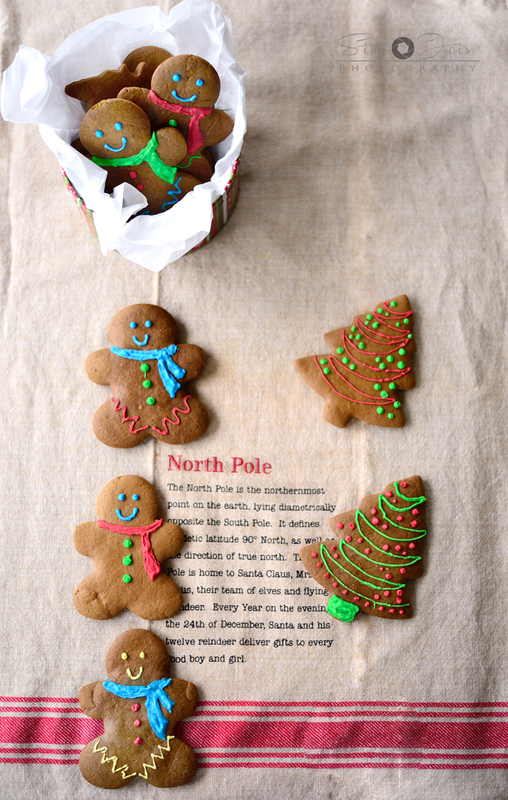 Soft and chewy gingerbread man cookies with holiday spices, made from scratch . We went a step further and baked a christmas tree cookies, reindeer cookies, with the same cookie dough, but different cookie cutters. 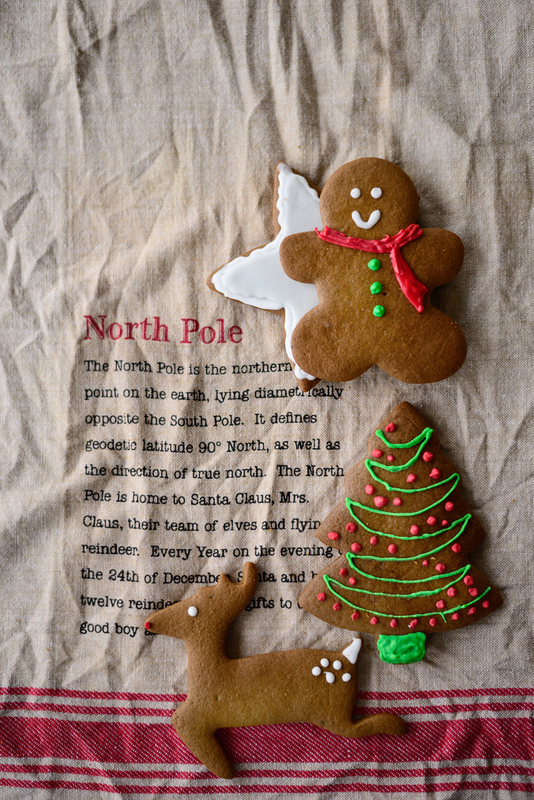 This makes for a great edible gift during the holidays. Went looking for one at the local kitchen store, only to see a miniature - it was the size of my pinky. 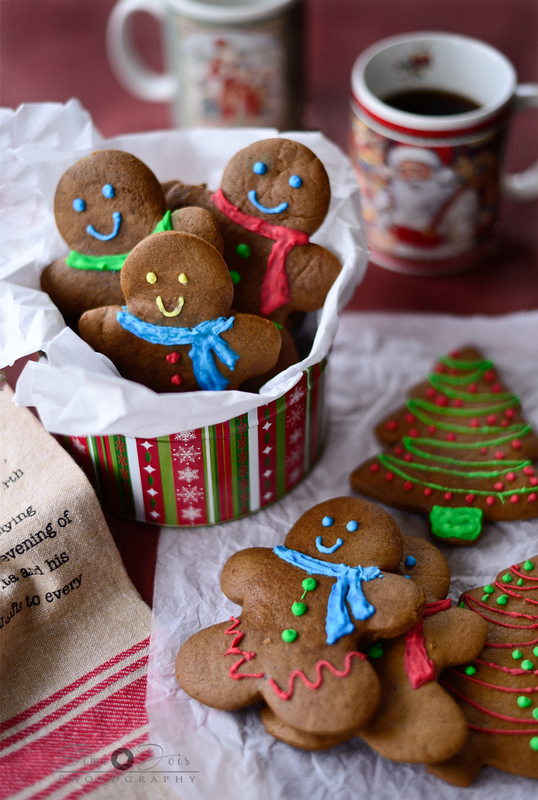 Very cute, but imagine an army of gingerbread men ….We had almost lost hope and then I saw a little box which had an assortment of cookie cutter and smiling happily was the gingerbread man. I still don't know what I did with my old one, but am glad to have found one to replace the lost one. Teen wanted to make a meringue icing, but I convinced her to get the ready icing tubes with different colors. I know, I know….don't give me that look. I am terrible at icing and frosting and I have promised to work on it this year. I am sure before the holidays are over teen will be back with some kind of an meringue frosting dessert recipe. I only hope she finds time to bake. These are the most adorable cookies she has ever made. Totally in love, we she might make another batch for her friends as edible Christmas gifts. In a large bowl or bowl of your stand mixer beat brown sugar and butter (at room temperature) till it is nice and creamy add the egg and molasses on low speed. Gradually stir in the dry ingredients and incorporate all as a dough. Gather dough in hand and divide in two and make it into a ball - cover with cling wrap and refrigerate for four hours. Bring dough to room temperature. Preheat oven to 375F. Line baking sheet with parchment. Roll dough about 1/4 inch thick, cut shapes with cookie cutter. Freeze the cut cookies for 10 minutes. 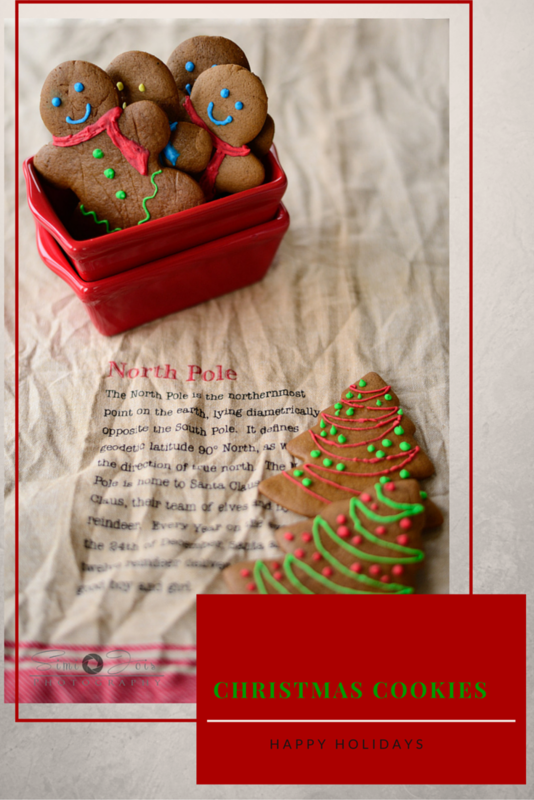 Keep the frozen cookies 8-10 inch apart and bake for 7-9 minutes. 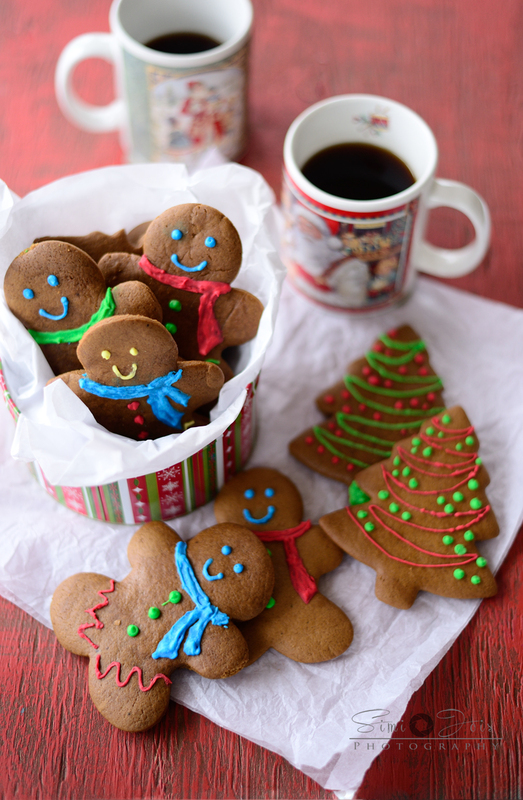 When cookies are done, remove and let it cool completely before you decorate them. 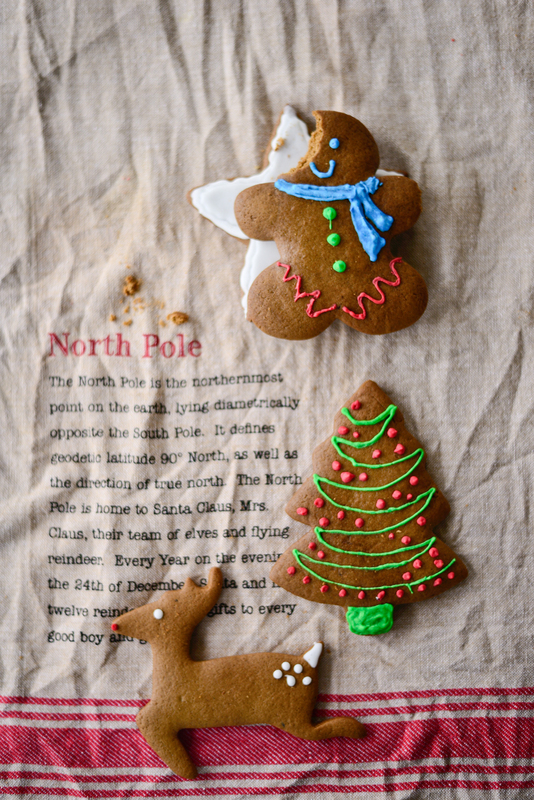 We just bought readymade icing and decorated our cookies. Thank you Georgia, for the recipe, definitely a keeper - here is the link to her cookies. Our cookies are made from her recipe. Most of the christmas picture I see (Except Ilva's) are shiny,blingy and glittery. I feel it cheapens the festival so much. Your this post is something I was look for - a classy christmas picture. Keep doing whatever you're doing Simi. So cute and wonderfully regressive! Such a cute post Simi! I did not expect to like these so much but my daughter wanted to make them. The whole family LOVED them. Give it a try.